This post has nothing whatsoever to do with Upriver or the Awajún, but I can’t resist reflecting on a small but fascinating agricultural crisis afflicting highland communities in Peru’s Department of Junín, which at an altitude of 14,000 ft above sea level or higher offers an entirely different ecological regime than one finds in Awajún country. The crisis concerns an obscure cultivated plant called maca (Lepidium meyenii), a member of the mustard family. The story is sufficiently interesting that it recently merited an illustrated article in the New York Times. 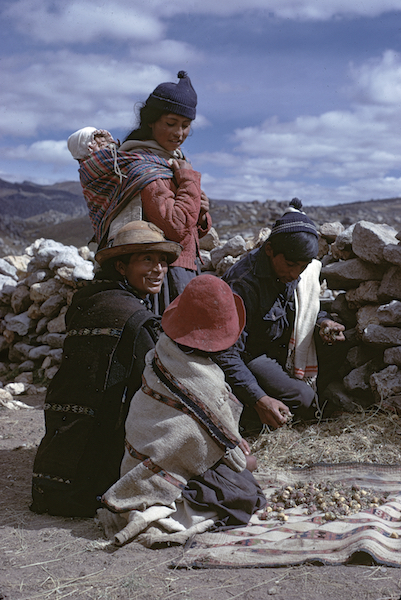 More than forty years ago, while working as a journeyman ethnobotanist on the shores of Lake Junín (second only to Titicaca in size), I collected samples of maca and interviewed members of a family that was among the few still cultivating an obscure plant that had the distinction (among other things, as we’ll see) of being the world’s highest-altitude domesticate. I don’t know whether that record still stands, but it surely ranks among the top two or three. 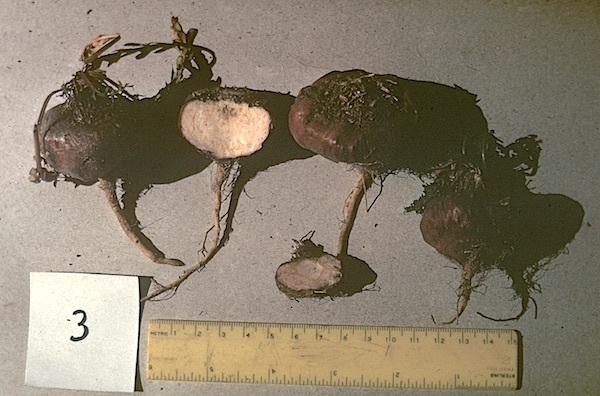 Maca survives the cold and dryness of Junín’s climate by keeping most of its tissue underground as a nondescript tuber. Above ground, one sees only a small rosette of leaves. My maca tutor was a wizened Andean man named don Mauro Pucuhuaranga, whose face was darkened by decades of life at an altitude where the thin atmosphere offers scant protection from the sun’s rays. Don Mauro and his wife showed us their small maca harvest and were kind enough to give us a few tubers to eat that evening. The owner of the house where our research team boarded agreed to cook the tubers for us to try. As he served them, however, he called out to his family, “Lock your doors tonight. The gringos will be on the prowl!” Thus we learned that maca had for centuries been regarded by Andean people as a powerful aphrodisiac and fertility-enhancer. Its consumption was typically accompanied by lewd joking. We were also told that during the colonial period Spaniards routinely fed maca to European livestock, which had difficulty reproducing at high altitudes. I can’t attest personally to maca’s reputed effect—although there is some sketchy scientific data to support it—and our crew was altogether too tired and altitude-impaired for nocturnal prowling. My maca samples eventually landed in the ethnobotany lab of the University of Michigan’s Museum of Anthropology, my photographs filed for future use in the classroom. My assumption was that maca, as one of the world’s most endangered crops, might soon disappear from Andean diet and the world’s roster of obscure domesticated plants. Nothing could be further from the truth. With the growth of world demand for traditional remedies and organic “super foods” since the 1990s, maca, “the Andean Viagra,” leapt from near-extinction to rock-star status among plant medicines. Now, according to the Times, it is the target of biopiracy by the Chinese and a product subject to large-scale smuggling and theft thanks to exploding world demand. I can only hope that don Mauro Pucuhuaranga’s children and grandchildren are benefiting from growing demand for a plant that once seemed destined for obscurity. Previous Post“Upriver” in the Utne Reader . . . and HauNext PostRegulating ayahuasca?